HABIT: Many-flowered panicles with off white flowers. Tall grass that spreads by thick, knotty rhizomes. 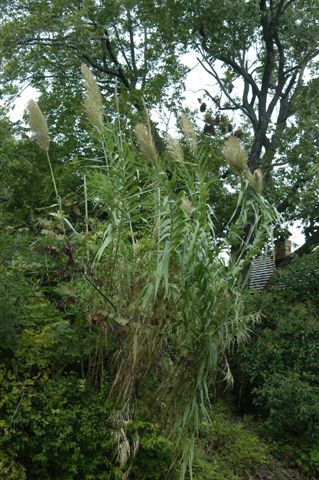 Has large summer flowers like those of pampas grass. CULTURE: Extremely easy to grow, especially in moist soil. USES: Tall screening plant, erosion protection and texture contrast.